The District Judge at Londonderry Magistrates Court, Barney McElholm, has refused bail to a man, charged with subjecting his partner to a brutal assault in which he is alleged to have attempted to set her on fire. In the dock was Raymond McGlinchey (28), of Cornshell Fields, who was arrested on Sunday morning following reports of a domestic assault at a house in the Strathfoyle area of the Waterside. A police officer told the court that when police arrived at the house they first noticed a strong smell of bleach and there were damp spots on the floor; there were what appeared to be spots of blood on the door and on curtains. The alleged injured party told police McGlinchey had consumed nine pints of beer and a two litre bottle of cider before punching her in the face five or six times and using a kitchen knife to try to cut her hands, before dragging her across the floor by her hair. She claimed McGlinchey then poured bleach over her hair, clothes and across the carpet before telling her he would set her on fire. However, when McGlinchey tried to ignite the bleach using a lighter, it would not catch fire. 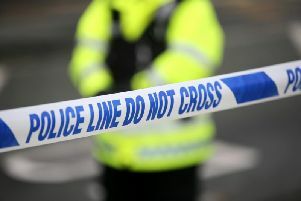 Police at the scene noted that the alleged victim had cuts to her hands, bruises to her face and was covered in bleach. When arrested McGlinchey denied all the allegations, claiming he had been acting defensively and that his partner had tried to attack him. Objecting to bail a police officer described the incident as “very serious indeed” saying McGlinchey was “a danger to women” and if released there were concerns he would re-offend. He said McGlinchey was on bail in relation to another case alleged to involve assault of a former partner. Seamus Quigley, defending, said his client’s version of events was almost a mirror image of that told by the alleged injured party. He said McGlinchey claimed the alleged injured party started the incident and she had attacked him and used a piece of glass to try and cut him. He said his client also sustained a number of injuries resulting from the incident and the alleged injured party had also been drinking. Mr McElholm said McGlinchey could not be trusted to stick to bail conditions and he was concerned he would interfere with witnesses. Bail was denied and McGlinchey will appear again by video link on November 12.